You must use Form 1040 and Schedule A to deduct food donations. 2. Can Donations to the Food Bank Be Claimed on My Tax Return? Charitable donations are generally tax deductible, assuming you're giving to a charity approved for tax exemption by the IRS. Knowing the rules ahead of time helps you plan your donations to maximize your deductions. When you donate food, your gesture can do more than feed the hungry: it can also give a little more weight to your pocketbook. The Internal Revenue Service grants an income tax deduction for qualifying food donations. You can write off food donations on your taxes only if you give the food to a qualified charity. Qualified charities typically include religious organizations, nonprofit charitable organizations and nonprofit hospitals. If you're not sure if an organization qualifies, you can check the IRS online database. If you make the donation to a non-qualified organization or an individual, no matter how needy that person is, you can't write off the donation on your taxes. Naturally, you can also write off a cash donation you make to a charity to help it meet its food expenses or any other costs. When you make a donation of food, you usually have to deduct only the price that you paid for it. You can only include gains on what you paid for it if the gain would be long-term capital gains, which means you have to hold the food for a year before donating it, which is probably unlikely. For example, if you find a really great sale on spaghetti so you can buy it for 25 cents per pound when it usually costs $1.50, unless you hold that spaghetti for a year, you're limited to deducting 25 cents per pound. When you make the donation, you need to get a receipt from the charity documenting your donation. The receipt should have the name of the charity, the date of the donation, a description of what you donated and whether you received anything in return for your donation. If you make a donation of less than $250 and getting a receipt is impractical -- for example, if you put the food in a drop box – you don't have to get a receipt. To write off your food donation, you have to itemize your deduction with Schedule A of the IRS 1040 tax form. Depending on your other itemized deductions, it might not be worth giving up your standard deduction to claim your food donation. If you do want to itemize, you report your food donation, along with any other property donations, on line 17 of Schedule A. There's no specific tax write off form for donations of food, but if you make any donation that's not cash or a check and is valued at more than $250, you'll also have to fill out IRS Form 8283 to claim it. 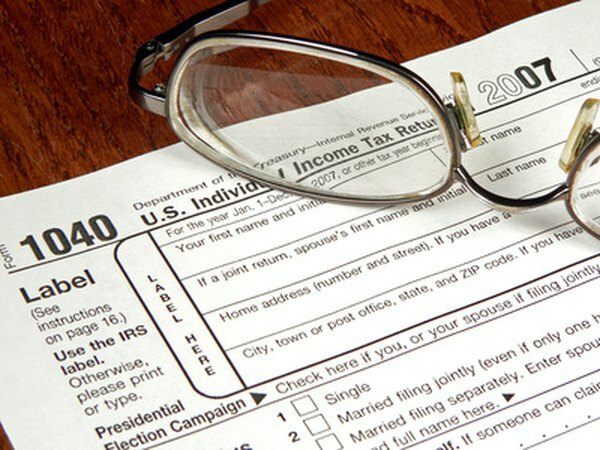 Once you've totaled your itemized deductions, the total gets copied over to line 40 of your 2017 Form 1040 tax return. The new 2018 1040 requires you to write the total on line 8.
eFile: Can I Claim Tax Deductions for Contributions to Charity? Can Contributions to Cemeteries Be Counted as a Tax Deduction?